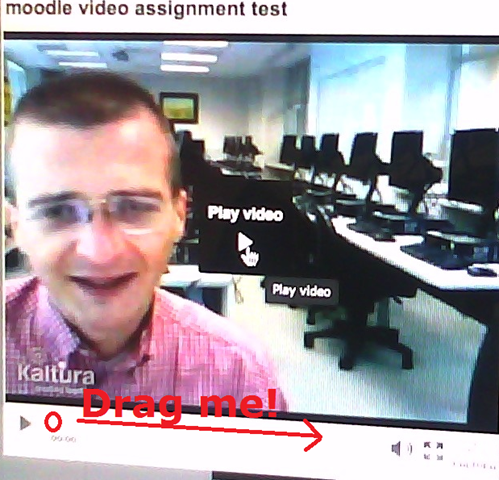 Find your assignment with the model audio file, presumably in your Moodle course. 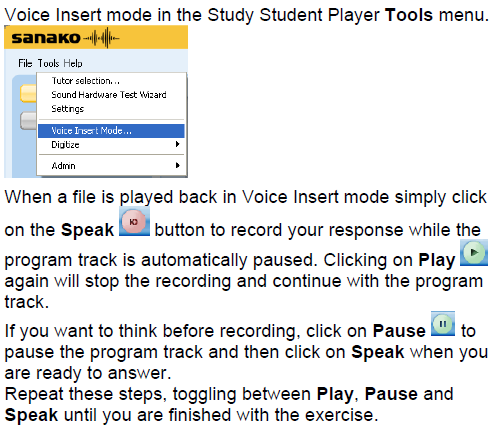 open the Sanako Student Recorder (introduction). from student recorder playlist: double-click the file. press the green play button to listen until you reach the point (your teacher may have inserted a pause or aural cue) where you can repeat or respond. When you are done repeating/responding, press the green play-button. 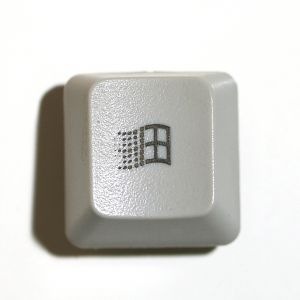 At the end, press the blue stop-button. Rewind and review your recording (e.g. compare your pronunciation with the teacher’s model). 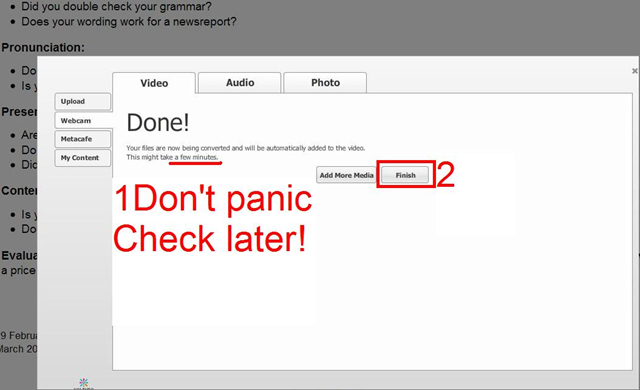 When done, click file / save as and save only your, the student track, as mp3 or wma. TBA: you can overwrite your pronunciation where you deem necessary. Fixed in Sanako 7: you cannot show the voice graph when in Voice insert mode – both are incompatible. 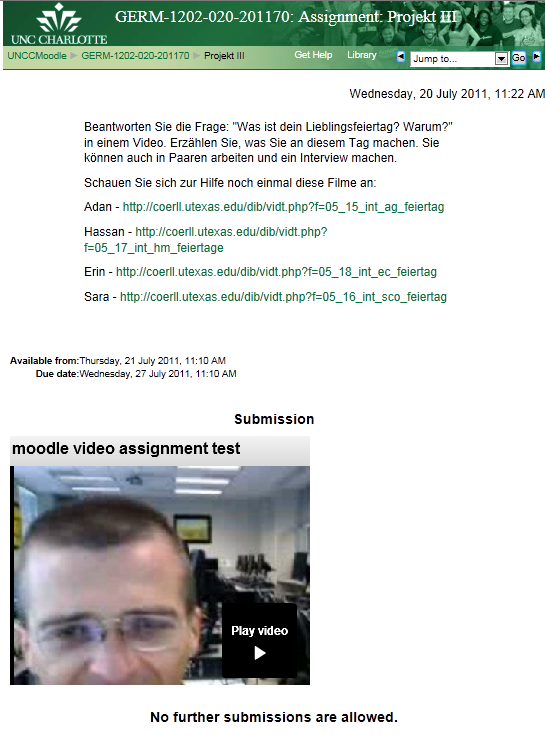 the second screencast example, of post-editing a questions/response exercise in ESL, takes the amount of pause inserted from the recorded teacher instruction for the student, and uses copy/paste to speed things up even more. You can also only insert tones and not pauses, as in the 3rd screencast, and allow the students flexible pause lengths, if you can rely on the Sanako Student recorder Voice insert. Or if you must, let students use audacity for recording also, and have them learn how to move the recording cursor around manually, and throw away the source track. 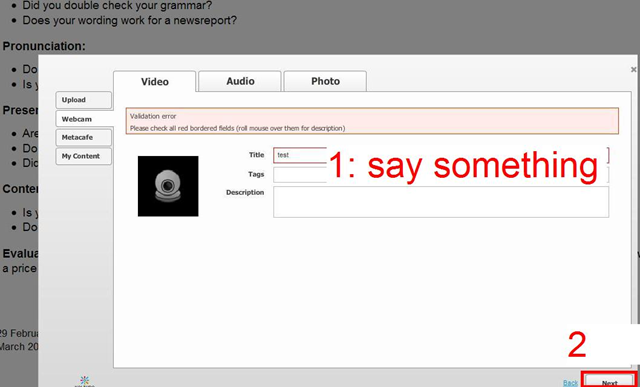 Uploading an mp3 recording into a Moodle Forum here. For more advanced editing with Audacity, I have a detailed screencast here. 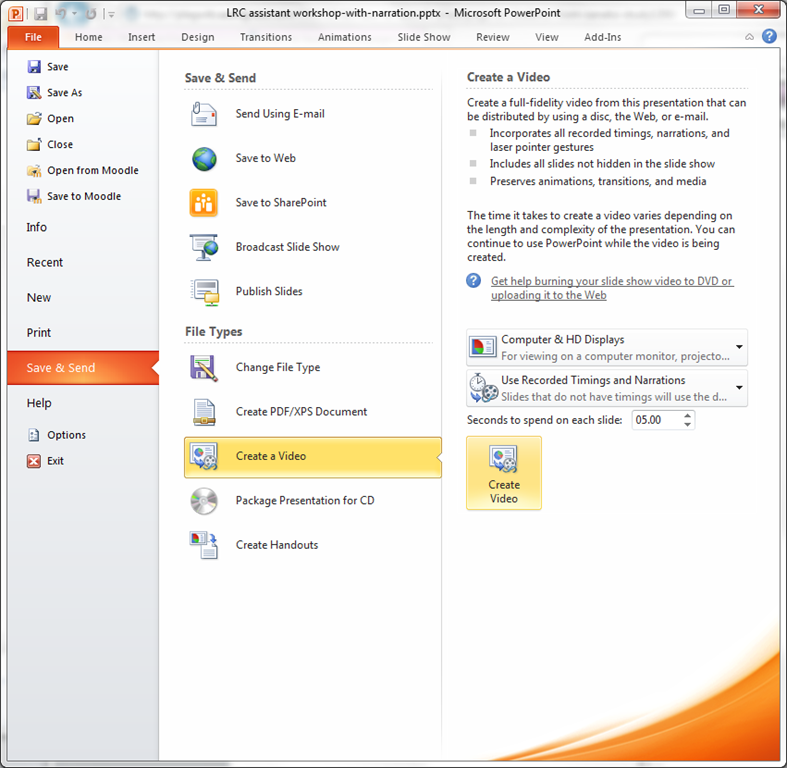 open the student recording file, either by double-clicking to, presumably, open it in Windows Media Player, or, preferably, by selecting multiple files, right-clicking and choosing “Open with” to open them for comparative grading (read some tips) in Audacity. 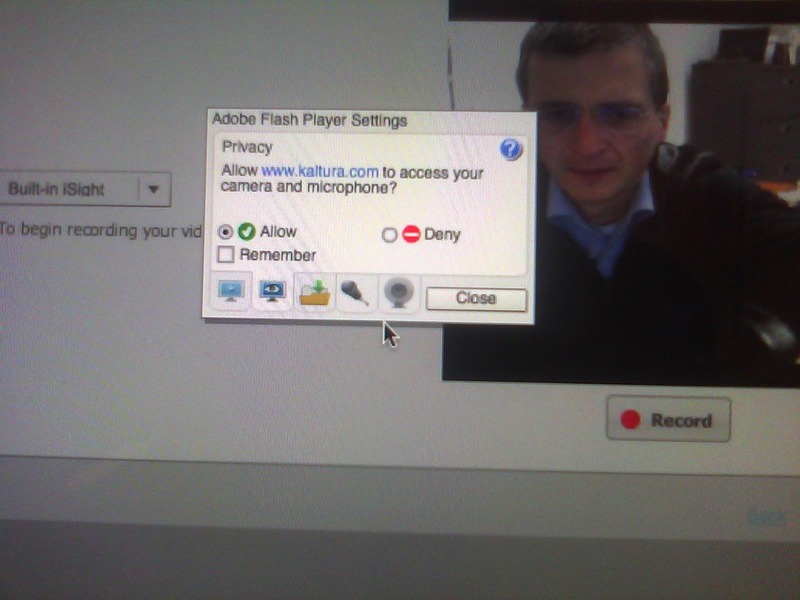 Note that she will also have to allow the flash player to interact with her webcam first. 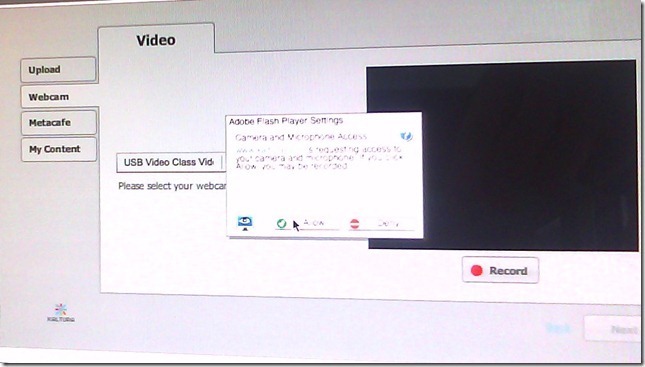 If you see no web cam video window, only a black frame, read in. 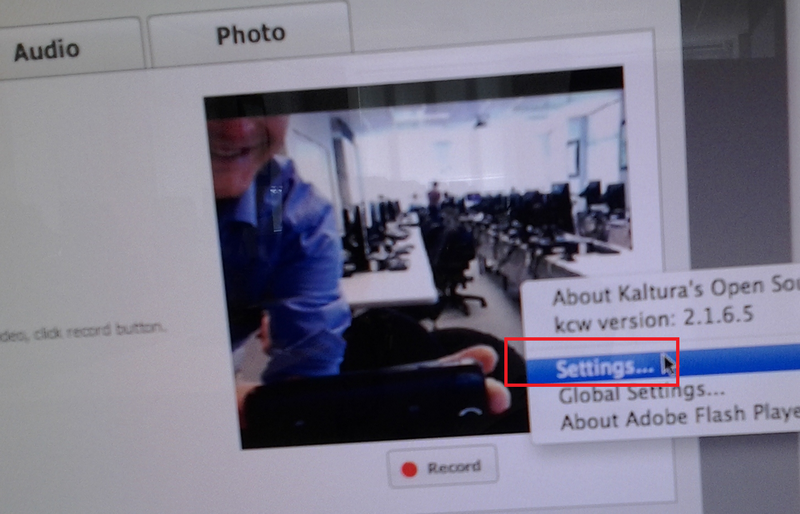 In the submission window, choose the tab “Webcam” (1), use the dropdown to select the camera hardware (2). 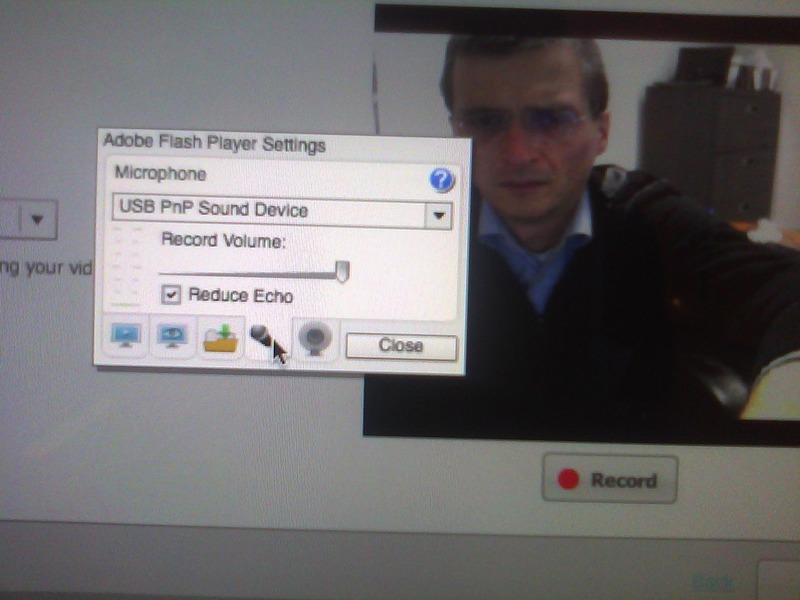 Check the headset microphone audio: The external headset microphone on the iMacs did not work., but now it does, provided you do this: control-click on Flash’s a video preview window (= the window where you see yourself like in a mirror) for the web camera, and click on “settings”. You can bring up the settings dialogue, make sure the USB PnP device is chosen for audio and CRANK up the microphone input sensitivity! Then, by tabbing (don’t speak yet) on the headset microphone, test the volume levels with the built-in volume meter (should show lots of green bars when you tab). Unlike in the picture, do not choose “reduce echo ”. Start (3) the video recording. Afterwards, the student can review (4) her submission. If you don’t like your first recording, (3) “record” over it and review again with (4) “Play”. If you do this and the video appears frozen, drag the timeline cursor forward to get the re-recorded video to play. 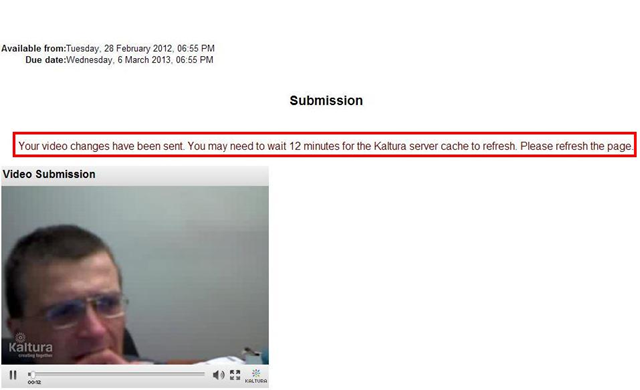 If this does not seem to work, you are likely still able to submit your 2nd attempt, just not review it again. 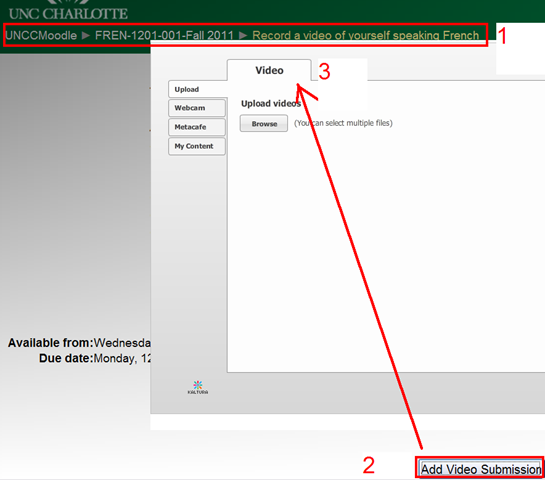 until you get to the feedback page for the student (caveat: in IE9, the video does not fit into the frame provided on the page). 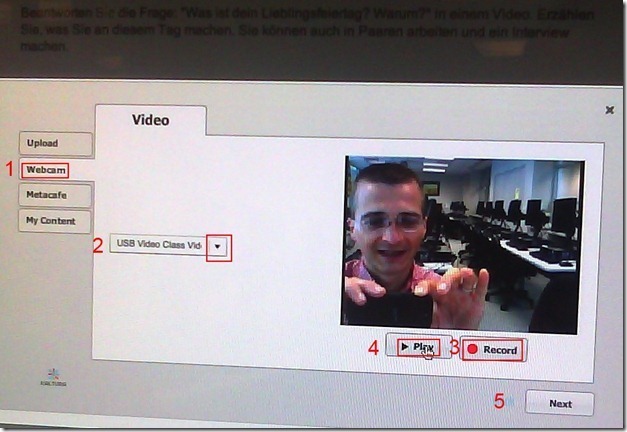 Depending on your hardware (webcam), software and network support, you can record your language speaking video assignments on any device that has a webcam and a browser that supports flash – and even more devices, if you are willing to post process and upload the video clip. 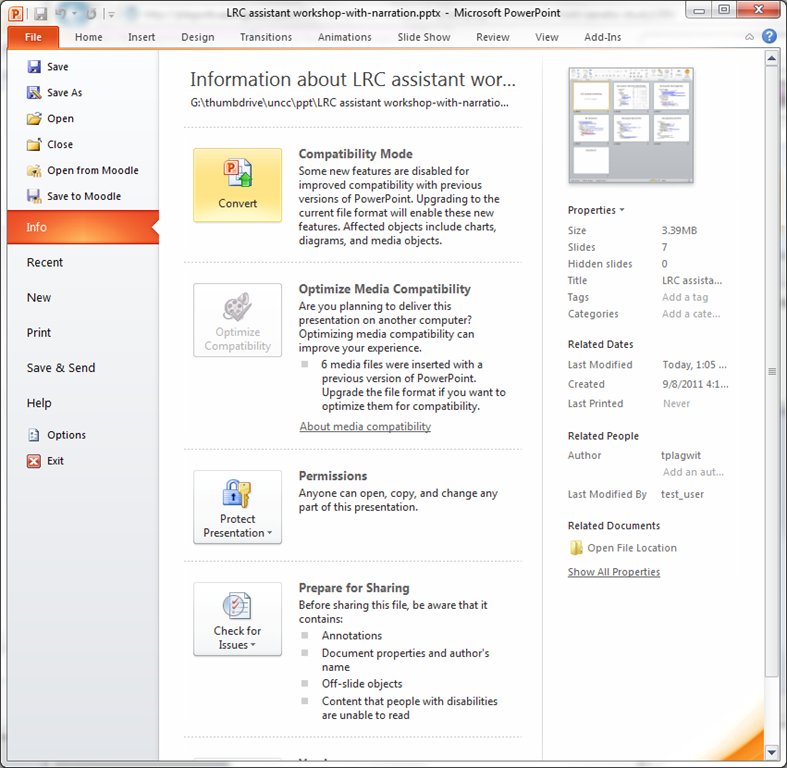 If you run into problems or want to use a tested setup, we recommend using the LRC. Since our PCs have no built-in or added webcam (proposed), we can currently only use our 5 8 iMacs (see LRC Layout, see Classroom Calendar and iMacs Calendar for availability). Our (limited) tests worked better in Safari than Firefox. 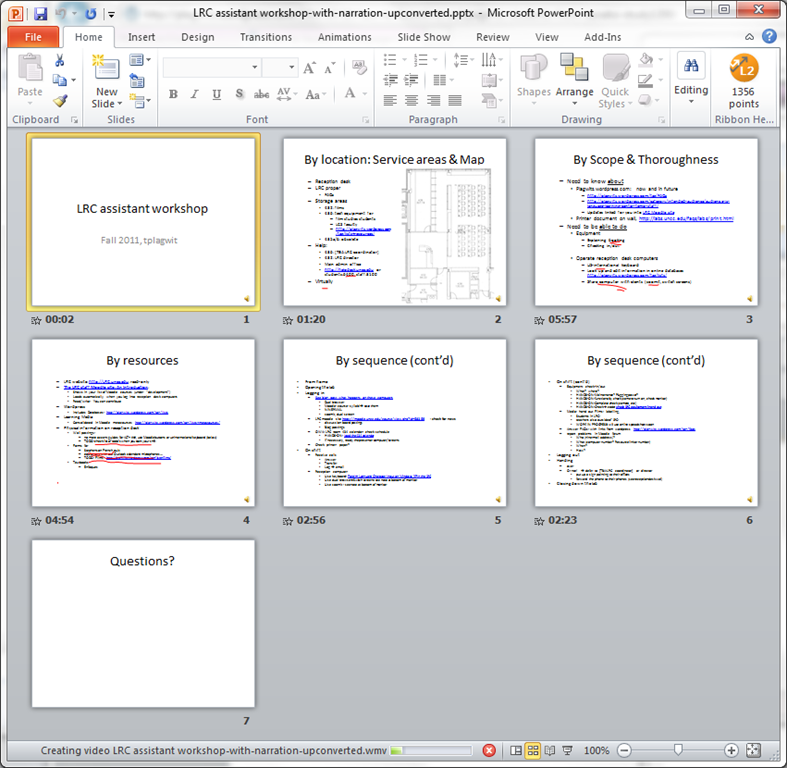 How do I make a video out of my PowerPoint Presentation? Takes over 60 minutes with on average over 50% CPU of an Intel i5 with 8 GB Ram, to produce a 75MB file of 920*760 and less than 18 minutes in length. 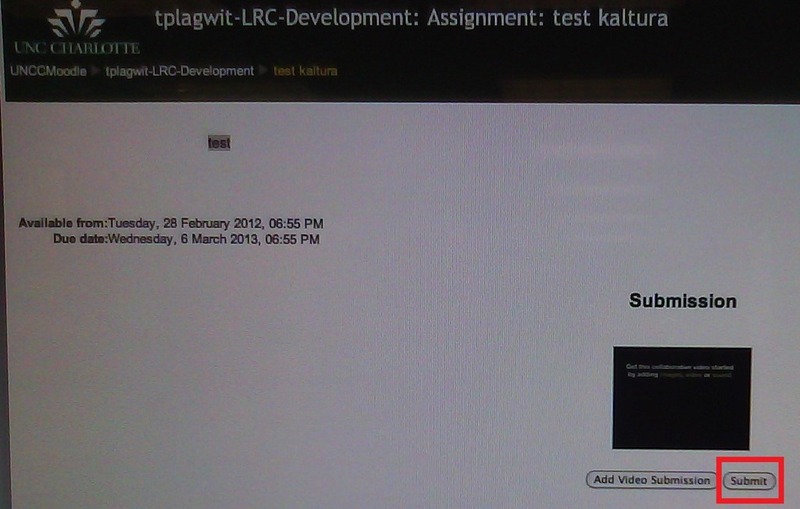 But this video streams from MS-SkyDrive.